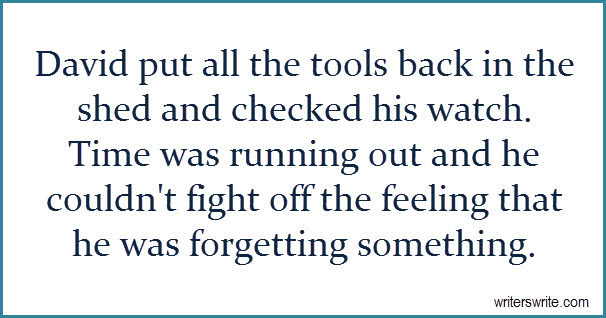 "David put all the tools back in the shed and checked his watch. Time was running out and he couldn't fight the feeling that he was forgetting something." David might be up to something nefarious. Has he made a crucial error? You decide what happens in your short story.